I think it’s fair to say 2017 has been a difficult year for a lot of us, both on the world stage and in our personal lives. And for me, no matter how much I’m struggling with depression, no matter how bleak things are looking, books are a source of comfort, a way to grapple with difficult topics in more removed settings, a strange glimpse of other possibilities… And I wanted to share some of my very favorite novels from the past year. They’re all sci-fi or fantasy (because that’s what I love best), but within those genres they vary wildly, from historical fiction with just a sprinkling of magic, portal fantasy that’s just as much literary exploration of identity and abuse, a fast-paced murder mystery in space, and a series of linked short stories that act as a damning critique of the way women are too frequently used and discarded in the superhero comic genre. I tend to read both young adult and adult fiction without distinguishing much between the two, and I believe this list contains about a 50/50 split (I’m not sure how a couple of the titles were marketed). I hope you’ll find something here to love as much as I did! A murder mystery on a generation starship starring clones with missing memories, this is the definition of a page-turner. I think I finished it in under two days. The pieces come together for you as the reader at the same time as for the protagonists, giving you a genuine chance to solve the mystery, and skilled use of flashbacks serve to propel the plot forward instead of feeling like a frustrating diversion. 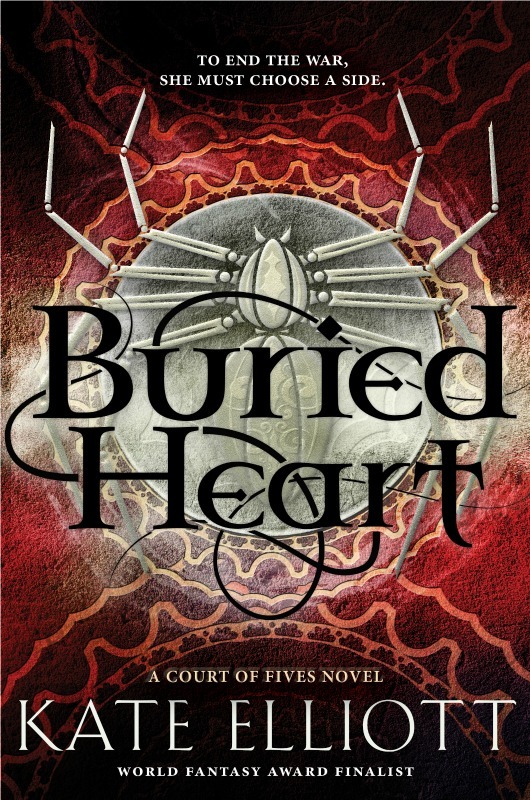 This is very much a plot focused story, and the characters, though some are intriguing, never have all that much depth. But all in all, a very enjoyable read. A beautiful little novella about a ghost who just can’t seem to forgive herself for either her own death or that of her sister--so she sticks around, takes in very old cats, and works at a suicide crisis call center. But when other ghosts suddenly start disappearing, she realizes she needs to help her fellow undead, and in the process learns how to finally forgive herself. Fast-paced, but also wistful, lyrical, and moving… A lovely story. 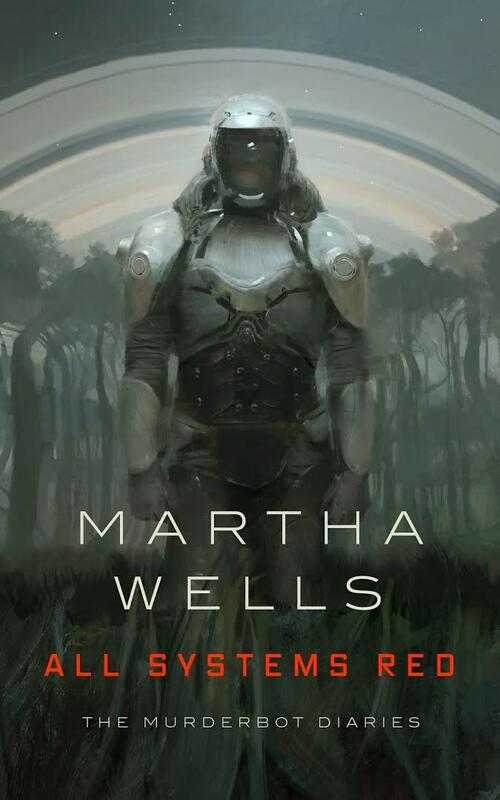 Continuing with novellas (this year I read quite a few good ones), Martha Wells’ new sci-fi adventure is definitely worth checking out. This is the story of an AI who, unbeknownst to its owners, hacked it’s “governor” program in order to gain independence, a limited freedom which it mostly uses to watch soap operas. Because robot or not, Murderbot (as it named itself) has some serious social anxiety, and is generally much more concerned with being left alone than with murder. 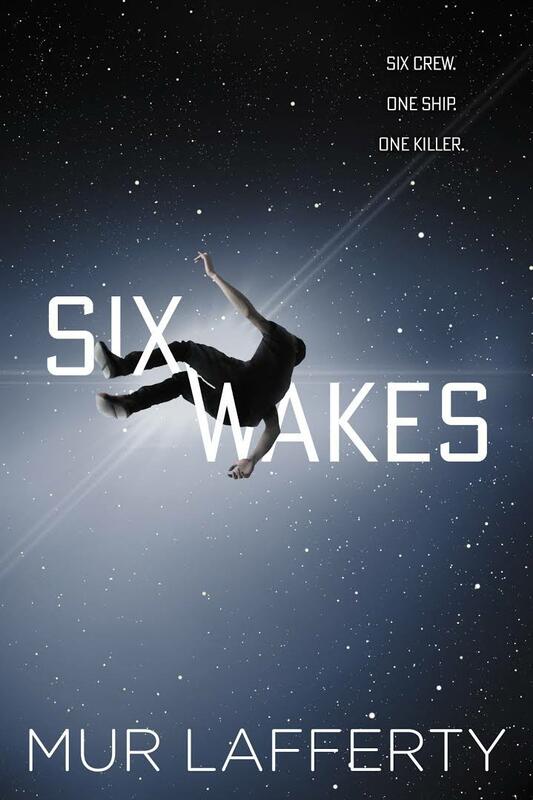 But when the small exploratory team on a remote planet that it’s assigned to protect start encountering strange problems, and the signals from nearby settlements go dead, Murderbot puts itself right in the path of danger for the people it’s reluctantly started to actually like… Funny, sweet, and full of suspense, I can’t wait to read more about the surprisingly charming Murderbot in future installments of this series. It’s been a long time since such a quiet, slow novel pulled me in so easily and completely. When I say quiet, I definitely do not mean dull! Over two decades before the start of this book, the US government became aware of the “Deep Ones,” a small community of people who, as they age, transform into aquatic beings who slip into the ocean depths to spend their remaining millenia. Spurred on by malicious rumours and fear of their strange powers, the government rounded them up and imprisoned them in concentration camps far from their ocean home, where due to neglect and violence both, one by one they died. This is the story of one of the only two survivors, Aphra, who’s reluctantly drawn into an investigation of the potential use of magic by the Russians. Far from a spy novel, this is instead a thoughtful and very real-feeling exploration of prejudice, trauma, family, and recovery. An excellent debut novel by an author I will now be following closely. It’s been a long time since I’ve read a novel that’s such pure fun! 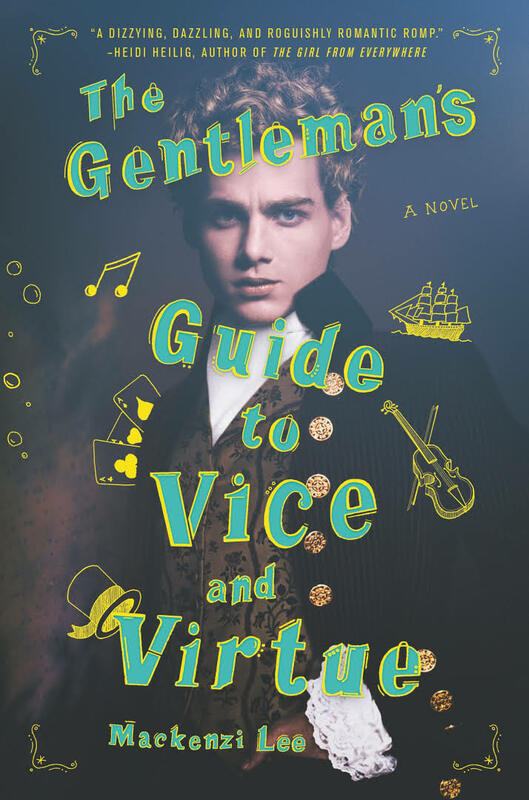 A historical adventure of a romp across 18th century europe, this story follows Monty, an unrepentant rogue, his best friend Percy, whom he just happens to be hopelessly in love with, and Felicity, his peskily sensible younger sister, as he savors what will likely be his last taste of freedom on his Grand Tour. But things take a turn for the dangerous when he sort of accidentally steals something precious, and the trio is forced to go on the run. While grappling with their feelings for each other, and how to find their place in a world that’s often very unfriendly to our characters (who are queer, multiracial, disabled/chronically ill, and have the wrong pursuits for a woman), this story is ultimately sweet, hopeful, and all around delightful. An achingly sad novella, one that almost reads like a cautionary fairy tale on what happens when children aren't allowed to be themselves, when parental expectations become so huge, so crushing, that they break something, perhaps irreparably, in the small humans at their mercy. It's an exploration of abuse, and what it can do to someone. It's also a strange story about a strange world, one filled with mad scientists and vampire lords, a red moon and endless moors. One where blood and fear are an everyday companion. With that in mind, it says something that the part of the book which takes place in our world remains the most disturbing. 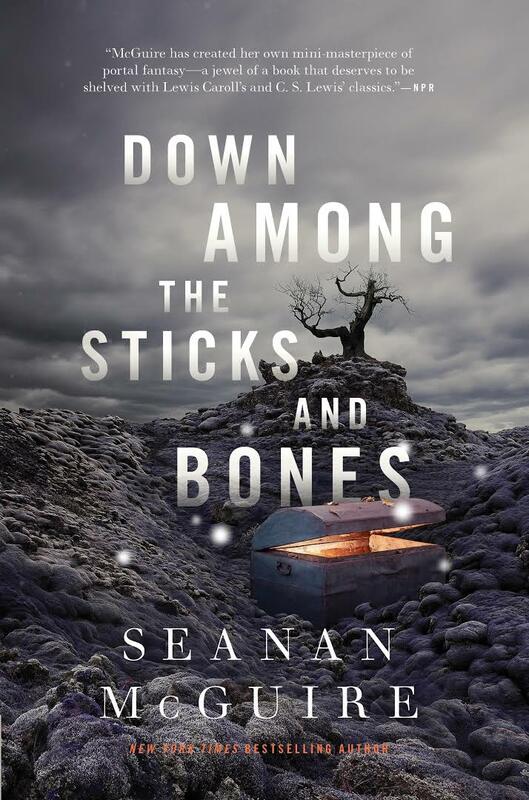 It also says something that Seanan McGuire is the only author to show up twice on this list. She is an absolute master of the novella format, and I will read every single one she writes with great joy. Highly recommended, if you're up for something thoughtful, dark, and moving. "It can be easy, when looking at children from the outside, to believe that they are things, dolls designed and programmed by their parents to behave in one manner, following one set of rules. It can be easy, when standing on the lofty shores of adulthood, not to remember that every adult was once a child, with ideas and ambitions of their own." I’m sure I’ve said before how much I admire originality in my fantasy novels, seeing as I read so many of them, and this one here? Does not disappoint! On the surface, this is a story about a young woman, Jane, grieving the death of her aunt and surrogate parent, who accepts an invitation to a mysterious mansion. But things quickly start becoming more surreal, and more strange… How different would things be if you made a different choice? Or a different one? Or a different one? 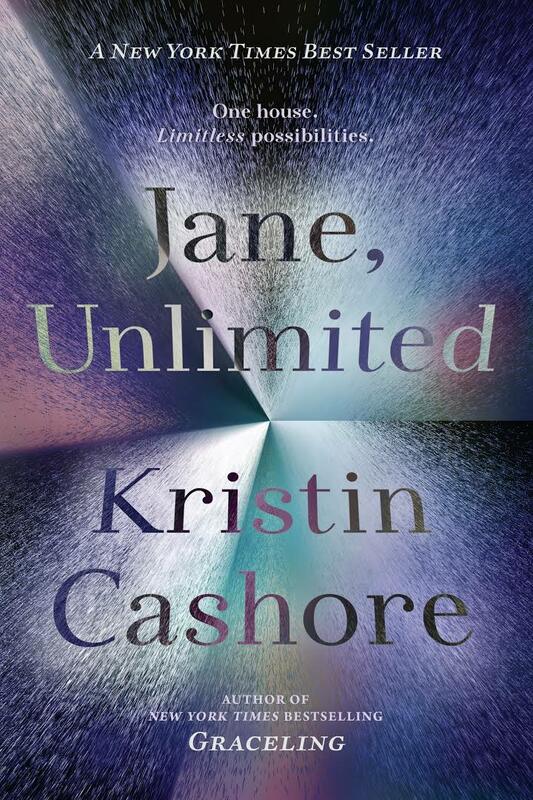 Many paths unfold, possibilities both bizarre and terrifying, as Jane seeks to better understand herself and her place in the world. Highly recommended. This linked collection of short stories is surreal, furious, and sad. There are no happy endings here, as what unites the women protagonists is that they were all either the wives or girlfriends of superheroes (or supervillains) or superheroes in their own right, and that now they’re all dead. 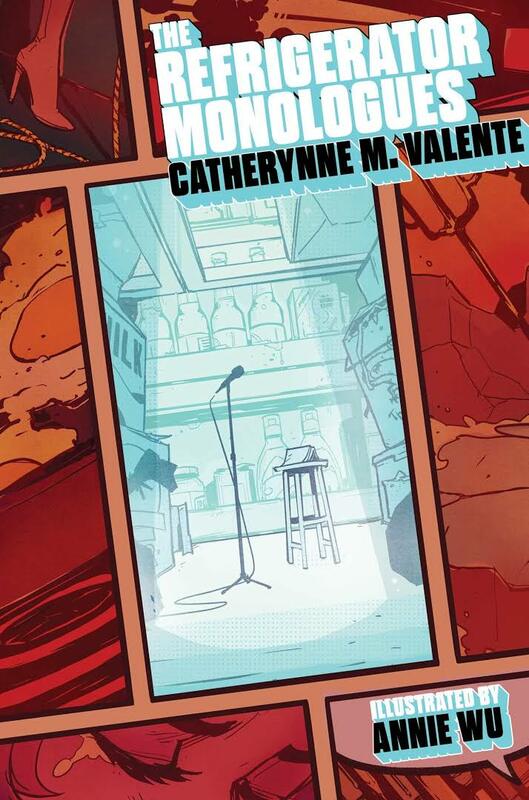 Taking direct aim at the “fridging” of women in the superhero genre in order to further the stories of men, this combination novella and anthology is disturbing and captivating. This is the only book on the list that’s not the first in series or a standalone. Instead, it completes a series which began with Court of Fives, about young athlete Jes, though in this novel the athletics are in short supply. Civil war has broken out as various colonizing Patron factions vie for the throne, and revolution is brewing as the Commoners look to take advantage of the disarray to once more claim control of their own country. 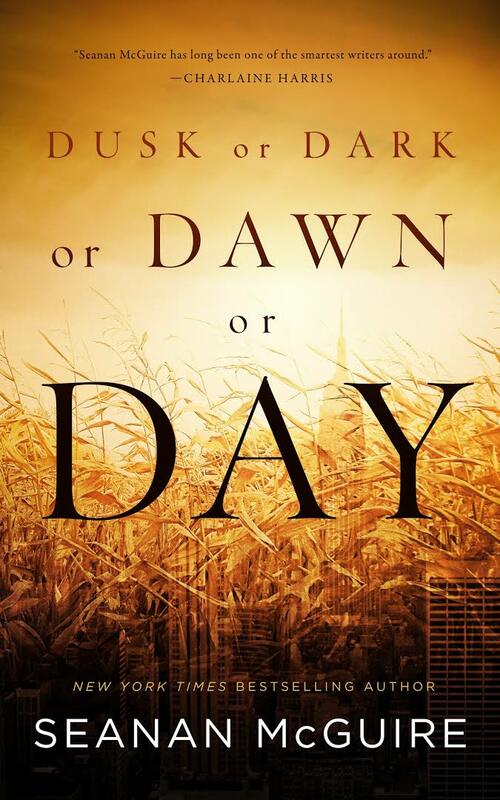 Jes’ growth through the previous two novels has been a pleasure to watch, but that pales in comparison to this final instalment, where we see her truly come into her own, and finally realize she has to start picking sides and taking stands. Seeing the surprising roles her whole family play in the rebellion was also one of my favorite parts of this book, and it felt very fitting, because such big themes throughout have been family, loyalty, and doing what’s right. All in all a very good conclusion to a very good series, and as always, I can’t wait to see what Kate Elliott comes out with next. Honorable mentions, aka beloved series published previous years that I enjoyed re-reading this past year: The Fall of Ile-Rien series by Martha Wells, The Raven Cycle by Maggie Stiefvater, The Spiritwalker trilogy by Kate Elliott. Great picks! 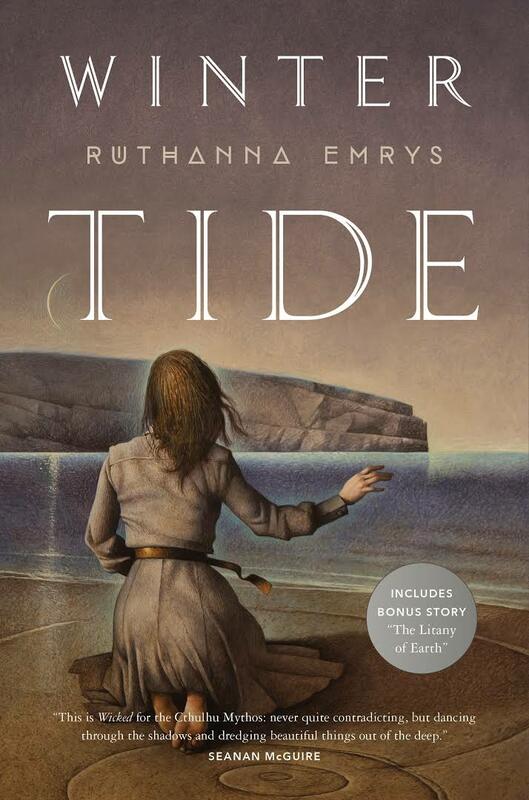 I agree Winter Tide was so good and kind of a surprise to me in how much I ended up loving it.